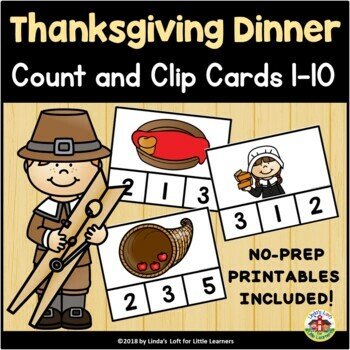 Help your early learners develop counting and number recognition skills with these Thanksgiving dinner count and clip cards 0-10. 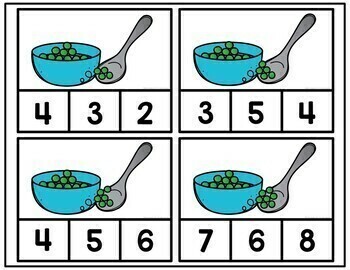 These count and clip cards can be used in a small group, math center, as a quiet-time or busy bag activity. *Three student printables are also included. For a closer look at this product, click on the green PREVIEW box above. It is recommended to copy on cardstock and laminate the clip cards for durability. Once laminated, another option is to use a dry erase marker to circle the correct number. 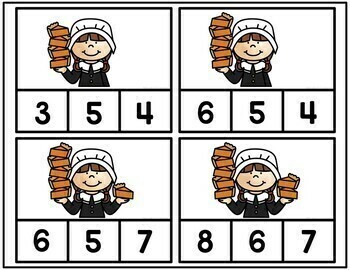 ✔Count in sequence from 1-10. 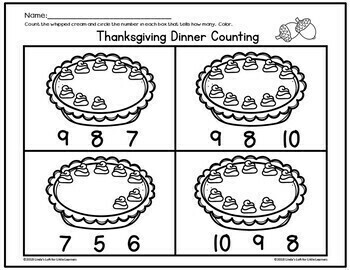 ✔Match number symbols with amounts 1-10. ✔Recognize the last number name said tells the number of objects counted. Click here for more Thanksgiving resources. If you would like to be the first to learn about new products posted by this store, product updates, sales, and special discounts, just click the green "Follow Me" star under my store name on this page.